Teach captured a French merchant vessel known as La Concorde, renamed her Queen Anne's Revenge, and equipped her with 40 guns. 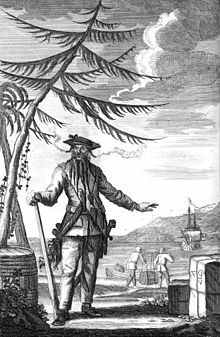 He became a renowned pirate, his nickname derived from his thick black beard and fearsome appearance; he was reported to have tied lit fuses ( slow matches) under his hat to frighten his enemies. 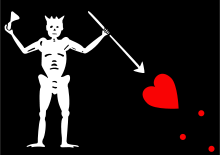 He formed an alliance of pirates and blockaded the port of Charles Town, South Carolina, ransoming the port's inhabitants. 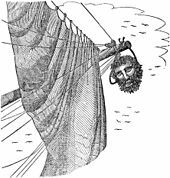 He then ran Queen Anne's Revenge aground on a sandbar near Beaufort, North Carolina. He parted company with Bonnet and settled in Bath, North Carolina, also known as Bath Town where he accepted a royal pardon. 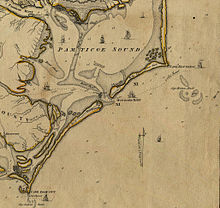 But he was soon back at sea, where he attracted the attention of Alexander Spotswood, the Governor of Virginia. 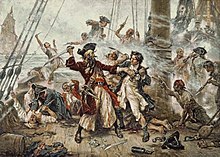 Spotswood arranged for a party of soldiers and sailors to capture the pirate, which they did on 22 November 1718 following a ferocious battle. 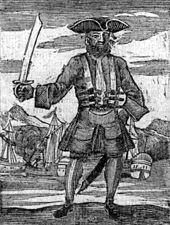 Teach and several of his crew were killed by a small force of sailors led by Lieutenant Robert Maynard.